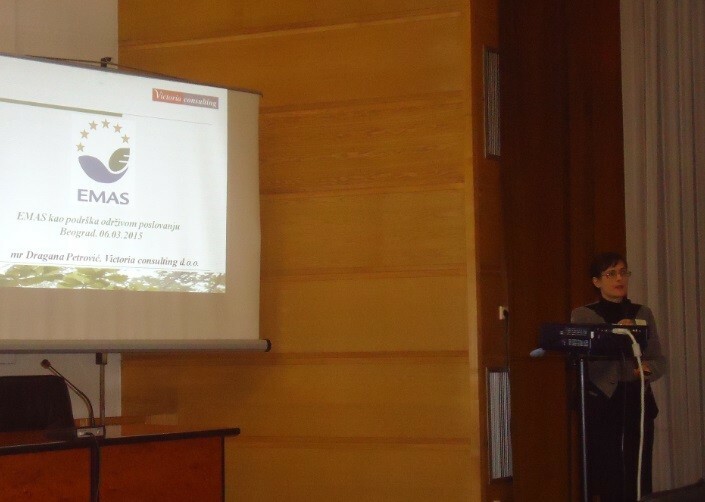 Within the conference Quality week 2015, held 03-06.03.2015, Dragana Petrović (Victoria consulting) held presentation: “EMAS – as support to sustainable business”. EMAS paper has been published at “Quality and excellence” magazine, vol. 1-2/2015. EMAS paper contains business cases of good examples of using EMAS as inspiration for upgrading existing EMS system. Quality week 2015 conference Programme is available for download – here.